We are always trying to find new meat recipes to feed our sons as well. This one is a keeper. 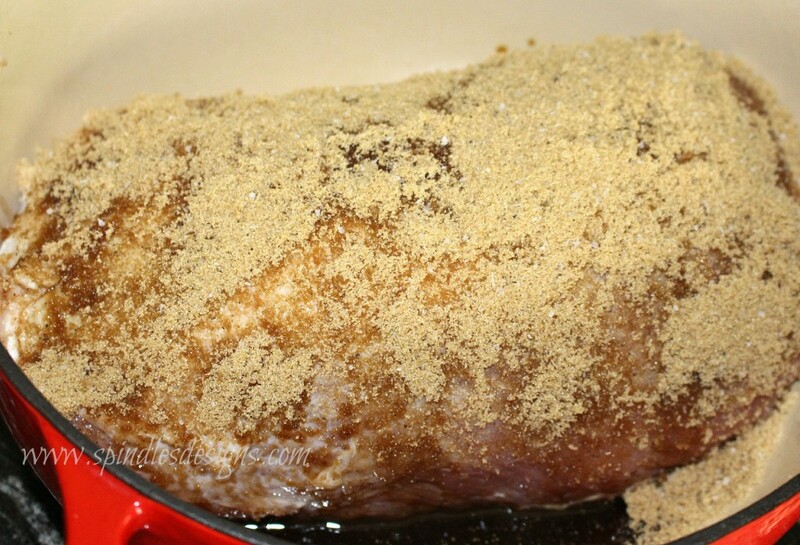 Place pork loin in dutch oven. Sprinkle the roast with Worcestershire sauce. Mix brown sugar, salt and pepper, pat on to the top, sides and ends of roast forming a crust. 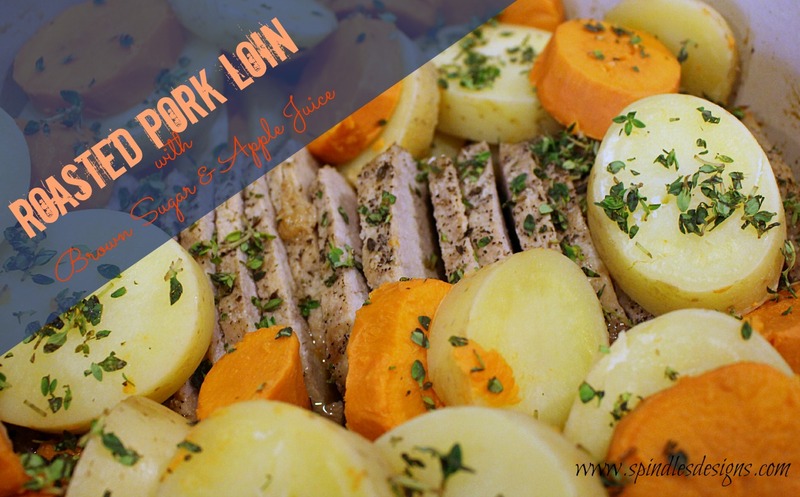 Mix cider vinegar and apple juice together and carefully pour around the the pork. Do not pour over the crust. 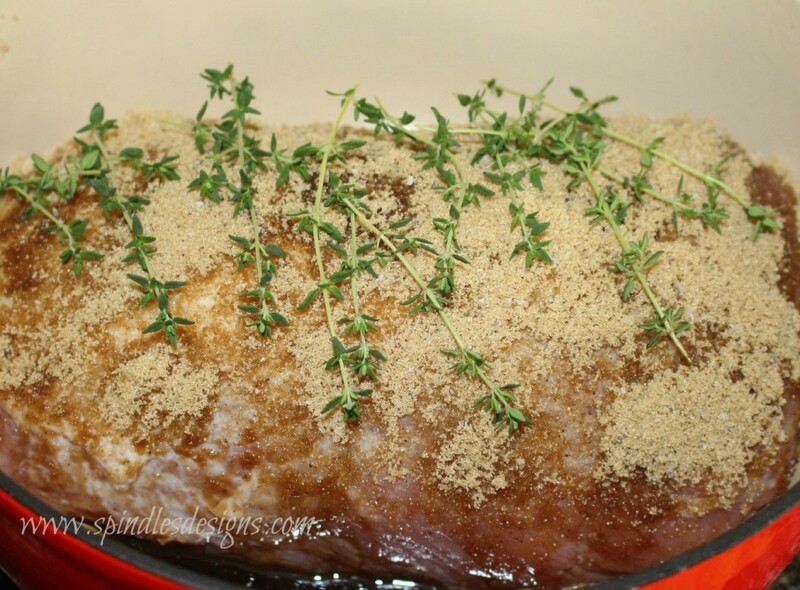 Top with several sprigs of fresh thyme. Bake covered in a 300 degree oven 3-4 hours or until juices run clear when poked with a fork. Remove roast from pan. Place dutch oven on the stove top and bring sauce to a boil. Turn down and boil for 5-10 minutes to reduce liquid to desired thickness. Slice roast and pour sauce over slices. We placed it back in the reduced sauce and served it with boiled and buttered Yukon Gold and sweet potato slices sprinkle with fresh thyme. The sauce is great on the potatoes as well. Sounds and looks delicious! I did a rub similar to this on pork chops for fathers day and they were yummy! Thanks for sharing the recipe with SYC. Can I substitute lemon juice for the cider vinegar? You might be able to in somethings but in this recipe it would completely change the flavor to the pork. Lemon is a strong flavor and I’m not so sure it really blends that well with apple juice. 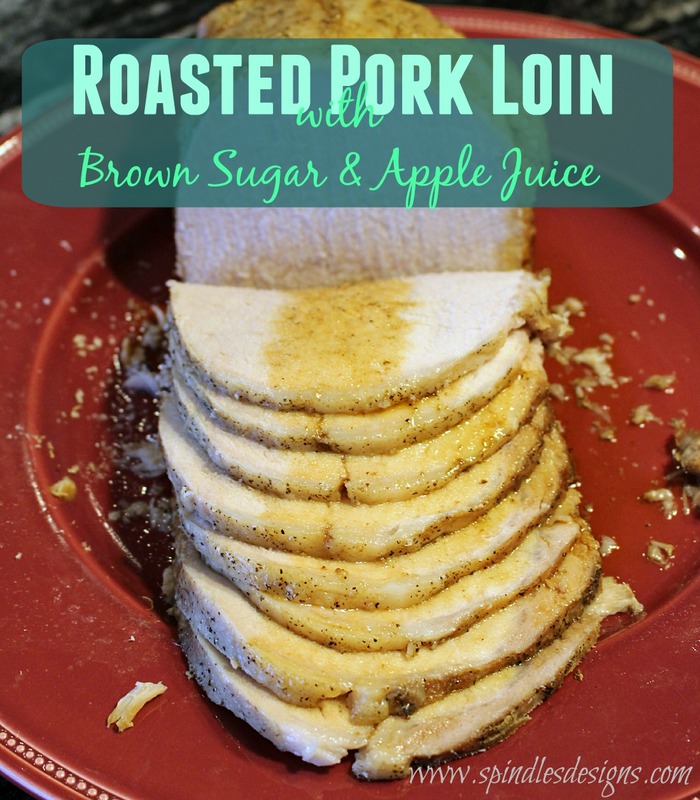 I am not a lover of cider vinegar but I am finding that when cooking pork it gives it great flavor.